The best way to ensure your retailer is asking the right questions is to download our 'Retailer Safety Assessment Form'. We would always recommend a retailer goes through such a form with you. These are the questions we and leading consumer champion, Which? state must be asked during each and every car seat selling process which will help a shop assistant select the right car seat for you, your car and your baby. i-Size seats have height limits. And a baby will have outgrown its baby car seat when his or her head is level with the top of the seat. I-Size makes it mandatory to keep a baby rear-facing until he or she is 15 months old. Not all cars have top tether, and if a car has underfloor storage in the back then a seat with top tether may be a good alternative to use, rather then a car seat that uses a support leg. A nine-month old baby weighing 9kg could, according to the regulations, be moved up to a forward-facing Group 1 car seat, but many car seat experts agree that this is far too young to turn a baby forward-facing. 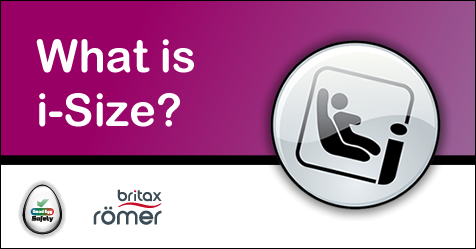 The latest i-Size baby car seats make it mandatory to keep your baby rear-facing until 15 months old, in a bid to help stop parents turning their babies forward too soon. If you buy a child seat online or from an 'order-and-collect' store, be certain it fits your child and any vehicle in which it will be used. Seek expert advice when fitting. Some local authorities offer a free child seat fitting service.